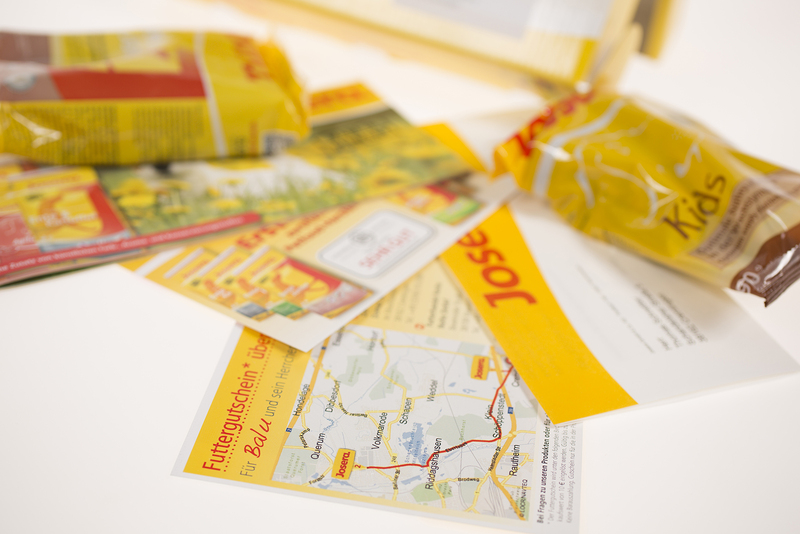 JOSERA is an animal nutrition and pet food manufacture in northern Bavaria, Germany. 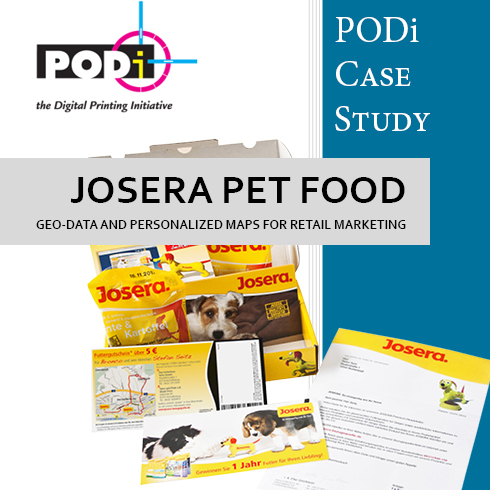 Their marketing strategy involves sending personalized pet food sample packs in response to customer enquiries made on the JOSERA website including vouchers that can be redeemed at nearby retail outlets for JOSERA products. 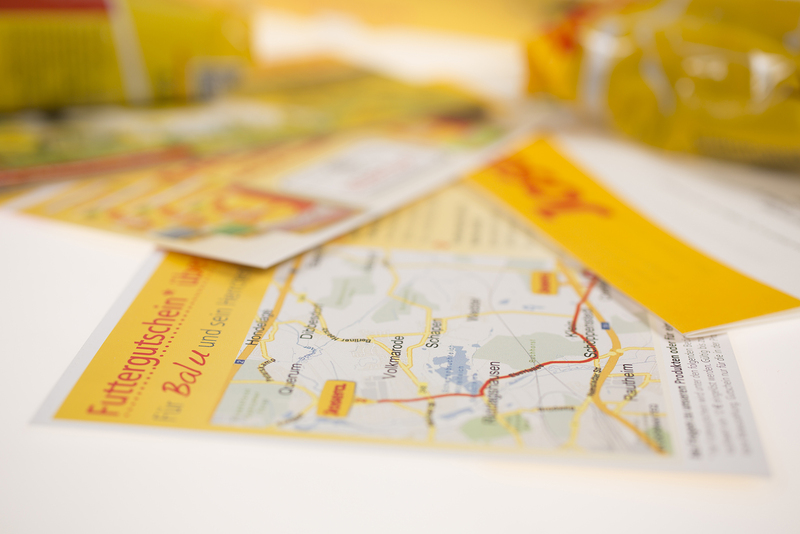 The marketing collateral includes locr NAVImaps, personalized to the recipient, which show the locations of the retail outlets where the vouchers can be redeemed and includes other useful travel information. 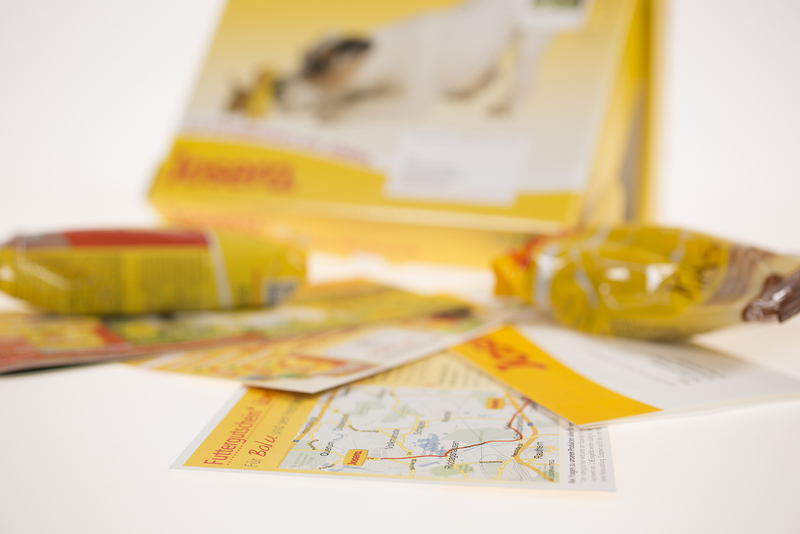 The conversion rate from website enquiries to pet food purchases at retail outlets have increased by 3% since the program began.